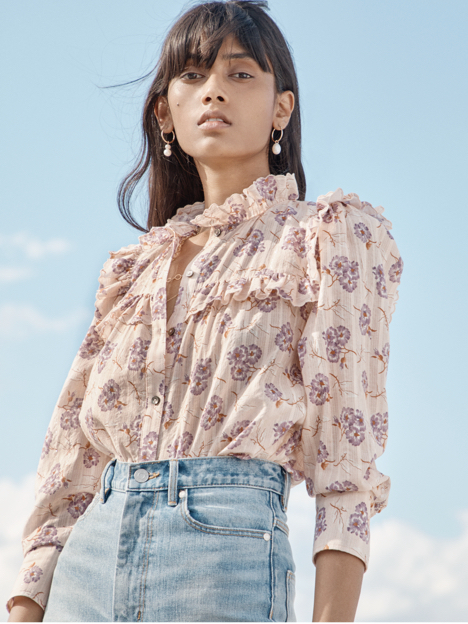 Designed with vintage-inspired embroidery, this breezy top lends a nostalgic mood to your wardrobe. Designed with vintage-inspired embroidery, this breezy top lends a nostalgic mood to your wardrobe. Its ruffled sleeves meet an open neckline that highlights the décolletage and adds to its delicate charm.